ROVOP, the independent provider of subsea remotely operated vehicle services, has appointed Lee Wilson to the newly created role of head of technology. Lee will establish a detailed vision for ROVOP and lead the company's technology development in line with key client drivers such as cost optimisation, digital transformation and enhanced HSEQ performance. In addition to leading right-timed applied technology programmes, he will also oversee all business applications and IT aspects of the company for the purpose of organisational growth. In keeping with the company’s digital strategy and to maintain ROVOP at the forefront of high-quality service provision, Lee will be accountable for maximising the synergies between business infrastructure and operational technology. This will, for example, enable the use of operational data and advanced analytics to support business decisions via the company’s integrated management system. Lee has an extensive engineering background in subsea robotics. 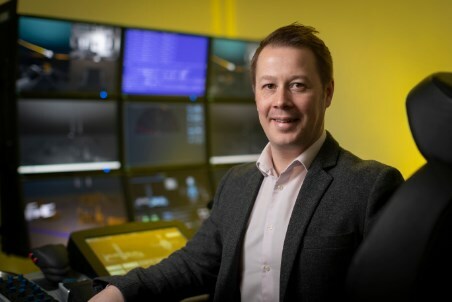 He joins the company from Subsea 7 where, as ROV and Autonomy Programme Manager, he led several remote technology programmes including the development of a state-of-the-art autonomous inspection vehicle. Lee said: “I am delighted to have joined the team at ROVOP as Head of Technology, at an exciting time for the business and for the wider marine robotics industry. ROVOP’s growth strategy is to provide a focused ROV service to its customers in all markets and geographies, leading the industry in subsea robotics.